Emily is a Boulder native, who loves all things outdoors. She grew up running, hiking, mountain biking, swimming and skiing (Nordic, back country, and alpine). 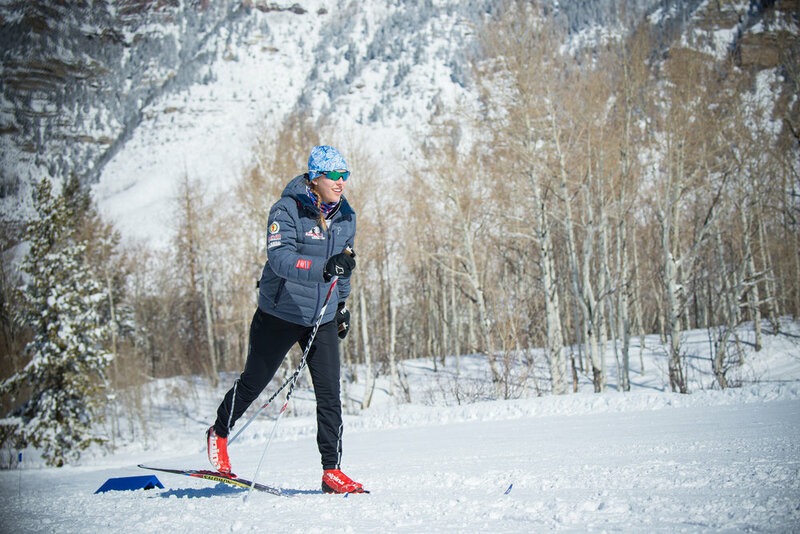 Emily is passionate about Nordic skiing, and grew up as a competitive Nordic ski racer. She is now a coach for the Boulder Nordic Junior Racing Team. During the winter, you’ll find Emily racing all over the country at everything from small town races to National Championships. Emily’s love of athletic endeavors and a sports oriented lifestyle has contributed to her eagerness to learn more about the science of sports performance and injury prevention. Currently studying Integrative Physiology at the University of Colorado Boulder, Emily has plans to earn a Doctorate in Physical Therapy.